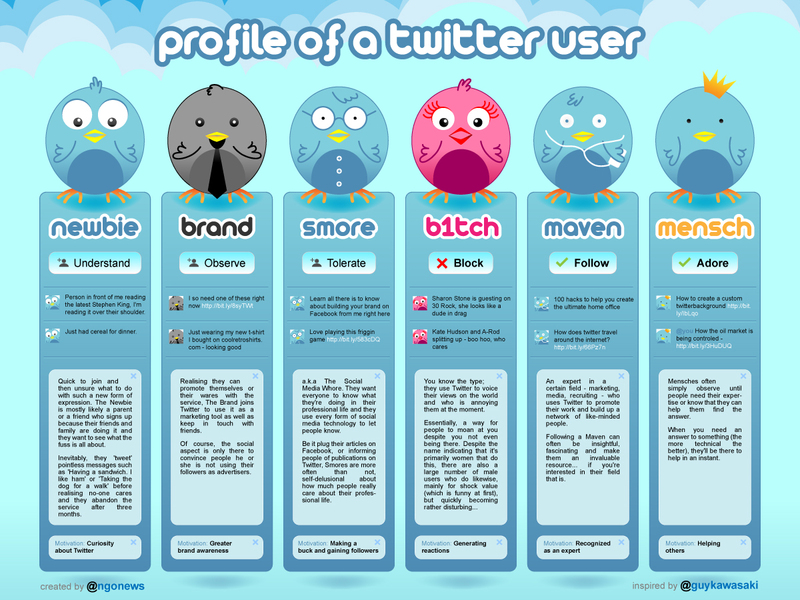 This witty infographic created by @ngonews separates the different types of Twitter users into six simple categories consisting of newbie, brand, smore, b1tch, maven, and mensch. Eye-catching, clever and entertaining – what every infographic seeks to be. Nicely done in my opinion. I hope you all strive to be mensch’s and are nice to newbie’s. Which category do you think you fall in? Be sure to follow me on Twitter, “Like” me on Facebook and follow BrandLove, LLC on LinkedIn. I post many more tips and tricks on my other social channels. Thanks for reading my post and I appreciate your support!